Include a taste of the enchanting in your customized South America tours. Jacqueline Spencer captures the heart of an uncharted territory with an account of her recent trip and highlights exactly Bolivia travel is a must. It’s 5 am, and my fingers are frozen holding onto my hand-written boarding pass as I walk across the tarmac in the frigid yet perfectly still air. The sky has started to lighten, turning subtle pastel shades of cotton-candy blue and pink. We climb aboard the small plane and soon after the propellers ignite and the fuselage agitates in a brisk shiver, as if it too were shaking off the early-morning cold. The plane lifts off, makes a grand arching turn and suddenly the white vastness comes into view in my tiny window, tinted violet by the changing colored sky. The day before I had spent traversing the whiteness I now see below me, hours and hours gobbled up by its enormity—you could walk for days and not feel like you have advanced. 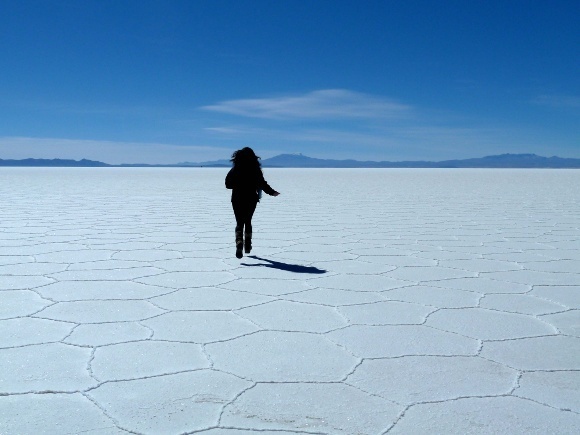 This white infinity is Uyuni, the worlds largest salt flat and one of the most fascinating landscapes on Earth. It is a mythical place. The mountains in the distance have their legends as passionate and dramatic as those of Greek gods. The towering cacti of the islands are millennia-old literally. And the salt is eternal, renewing itself with the rainy season each year. This blank canvas landscape invites creativity as you traverse its leagues. Its flatness and pure whiteness enables one to take perspective-bending photos or just ponder the mysterious mirages warped by a distance so vast that the curve of the earth plays tricks on your eyes. Uyuni is a giant fractal, hexagons upon hexagons of crystals, multiplying into infinity. It is easy to understand why this place feels so eerily magical and so utterly incomprehensible. This is Bolivia. Bolivia is rugged nature. 100% authentic, unspoiled, non-touristy, no frills. 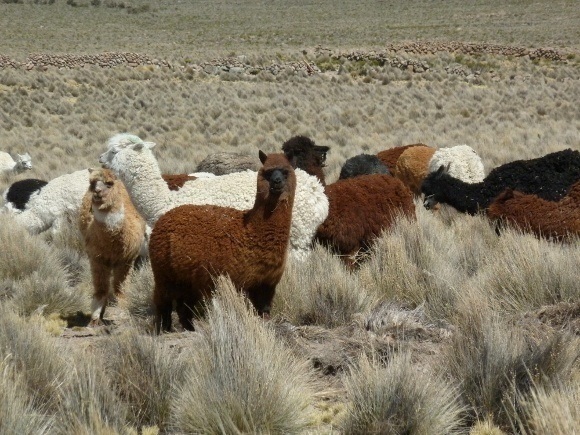 There are no outdoor clothing brands named after it, no bragging rights for having “done it,” and no trophies to display for the subtle lessons one learns out in the wild altiplano. Its vast landscapes force travelers to turn inwards, remembering that it is not about conquering nature but rather being humbled by it. Just like its authentic and unspoiled nature, Bolivia boasts an authentic cultural heritage that sharply contrasts and stands firmly juxtaposed in a changing modern world. Women in traditional dress are everywhere, big cities or small villages, and mystical practices that revere the Pachamama (Mother Earth) are commonplace and observed parallel to reverent Catholicism. There are places in Bolivia, like Sajama, where villages are so remote that inhabitants know little of the rest of their country, let alone the world. Where a soccer ball and a clear blue sky are a child’s happiness, where entire histories are hand-woven into vibrant textiles and sacred mountains decorated by local worshipers in colored terraces of quinoa. 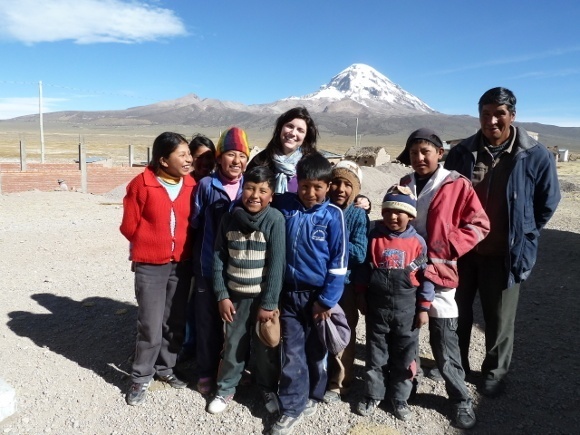 A travel experience in Bolivia can be quite frankly life-changing. Those open enough to face the challenge will see and experience things few travelers know about or are intrepid enough to explore. I feel lucky to have had the opportunity to traverse its many facets on this trip. And now as the rising sun bursts brightly into my window, the plane gliding over the snowy ridges of the Andes, I am inspired. I am challenged, intrigued. Bolivia has amazed me, and I will surely be back soon for more. Get in touch with us to plan your customized South America tours.